Hakushu, the lesser known brother of Yamazaki. Both Yamazaki and Hakushu have many different still shapes to be able to produce a wide range of spirit. While Scottish blenders are able to use whiskies from virtually any of the distilleries in Scotland, Japanese blenders are typically limited to the whiskies produced by their company. Hence, many stills at each distillery for many different kinds of whisky. The big difference between Hakushu and Yamazaki whisky is that Hakushu is peated. It’s not that mega in your face Islay kind of peat but a more reasonable level of smokiness. In general peaty whiskies have not done well in Japan. Some of the earliest Japanese whisky had trouble selling due to the peat levels that were designed to emulate the highland whiskies of the time. But Hakushu brings a bit of smoke to the equation which adds to the complexity of their blends and provides a nice contrast to Yamazaki. The Hakushu lineup has the same ages as the Yamazaki lineup: NAS, 12,18, and 25. It seems like whatever Yamazaki bottles, Hakushu gets a similar bottling. 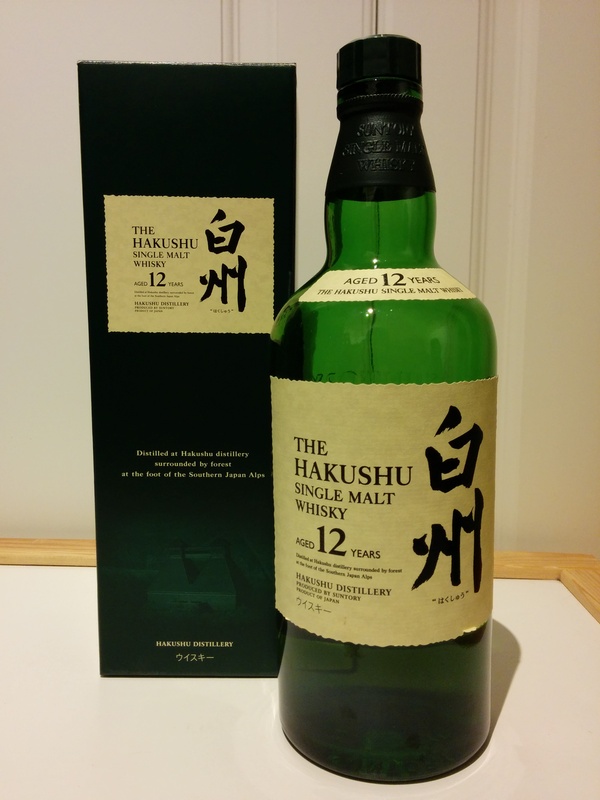 Although Hakushu may not be as famous as Yamazaki, it is certainly not in any way inferior. It has its own distinct style which I think complements Yamazaki quite well. I guess that was Suntory’s whole point of building the distillery. It is a bit harder to find Hakushu, but I definitely recommend giving it a try. Lots of fresh cut grass. Some peppermint. Some menthol like a bit of tiger balm. Honeysuckle. A bit of smoke lingering in the background. Hi-chew gum. Some grape candy, grape juice, grass juice, and menthol. Slight woody bitterness. Peat floating somewhere in there. For some reason it leaves me thinking of green. Could be the bottle. But the finish is like green grape candy and then toffee or caramel. A bit of peat midway through the finish. For some reason (maybe the bottle), this whisky just makes me think green. It’s green in that relaxing forest canopy way. For a relaxing time, make it Hakushu time.